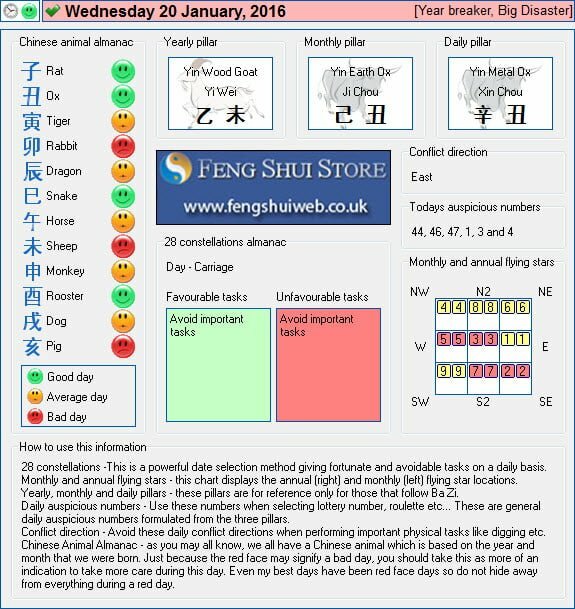 Here is the Free Feng Shui Tong Shu Almanac for Wednesday 20th January 2016. The influence will not be as strong as we only have a few days left of Chinese New Year and the Flying Stars will be changing on the 4th February. I would aim to get all of the work done before this date if possible.